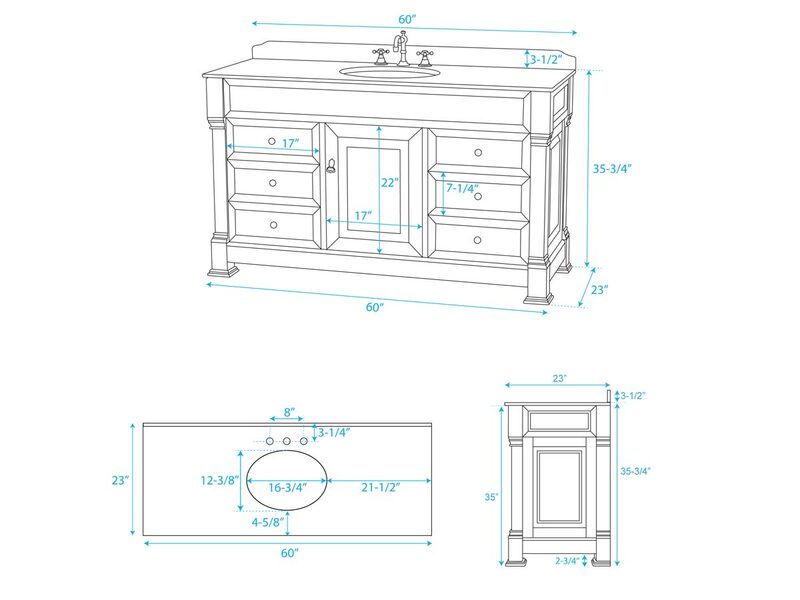 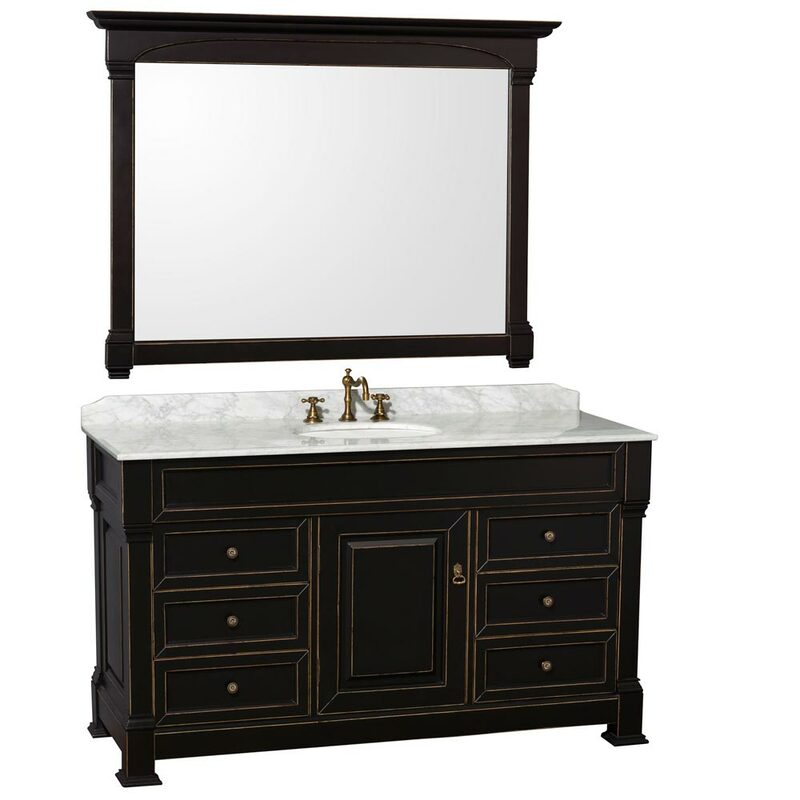 Antique vanities never looked so good with 60" Andover Single Bath Vanity. 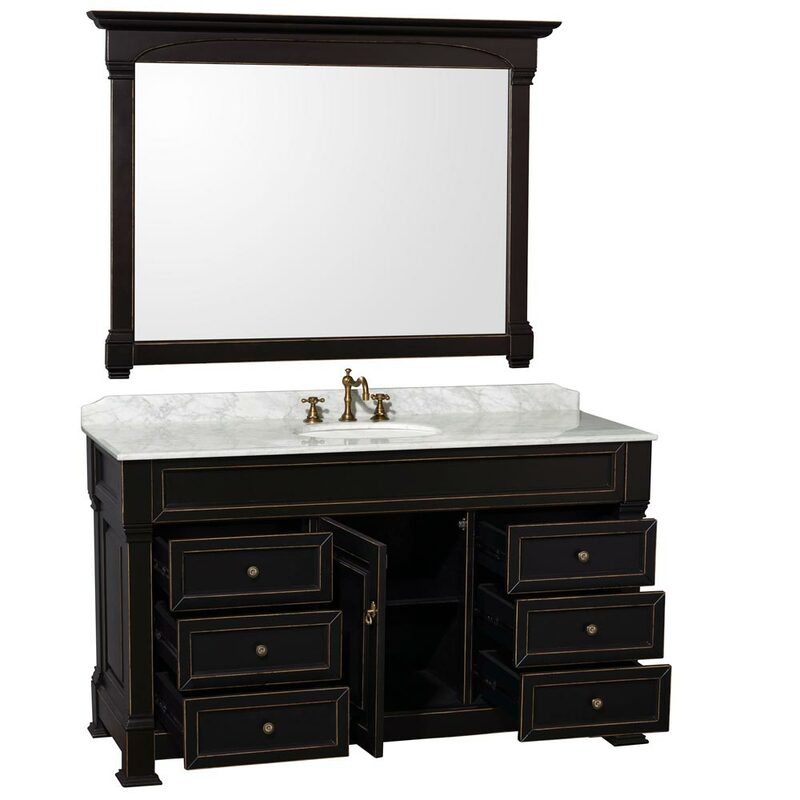 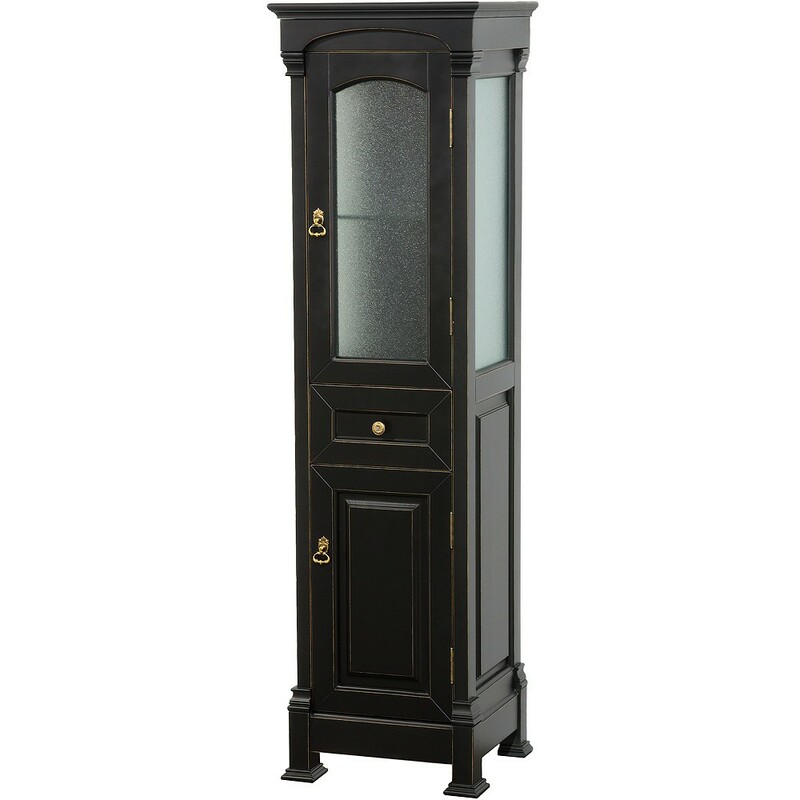 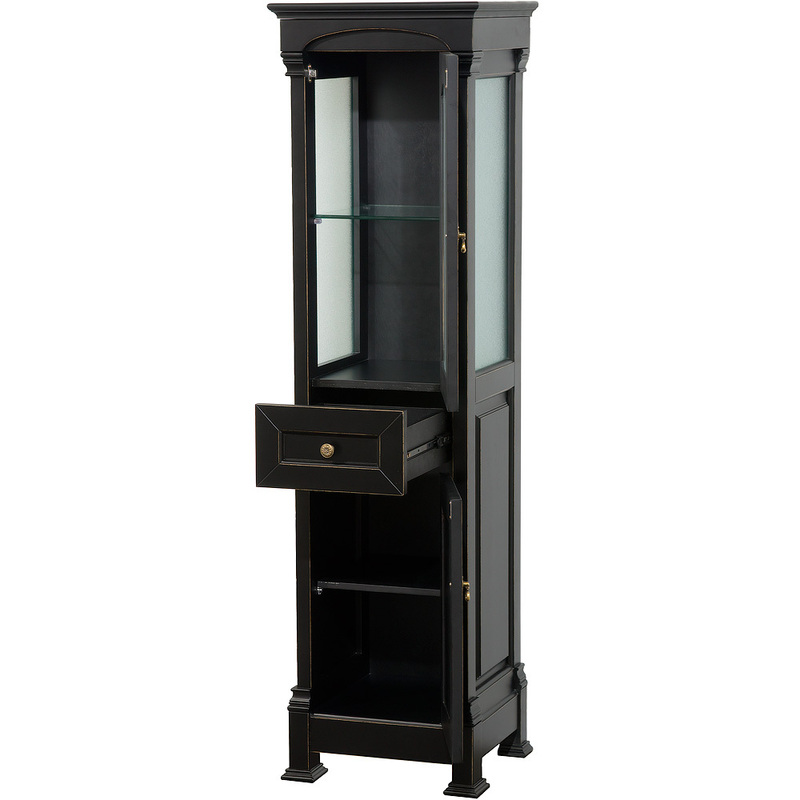 Made from solid oak, this vanity boasts a Black finished cabinet that houses two single-door cabinets and three fully-functional drawers. 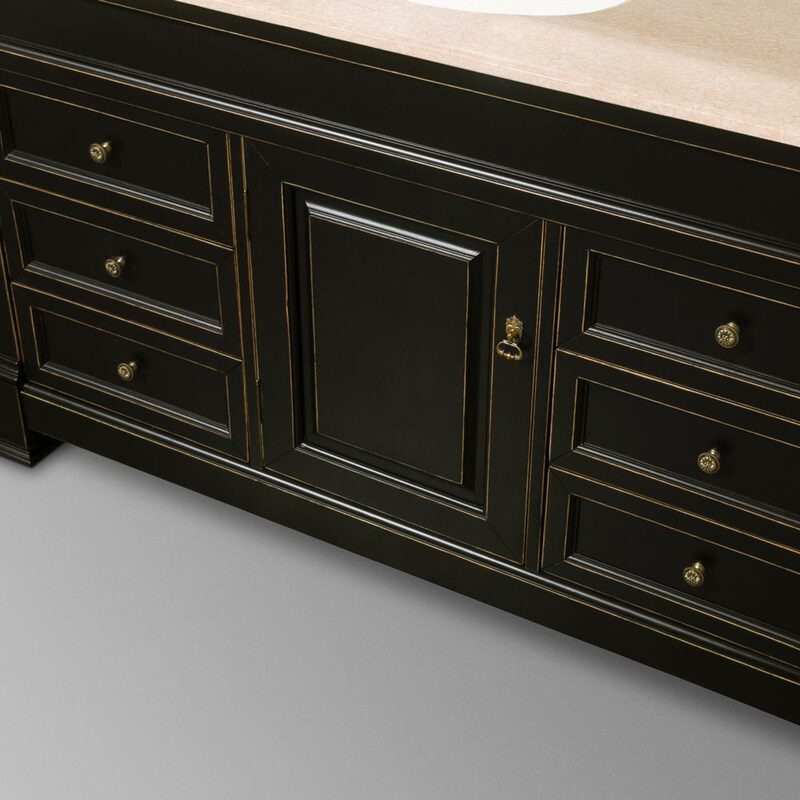 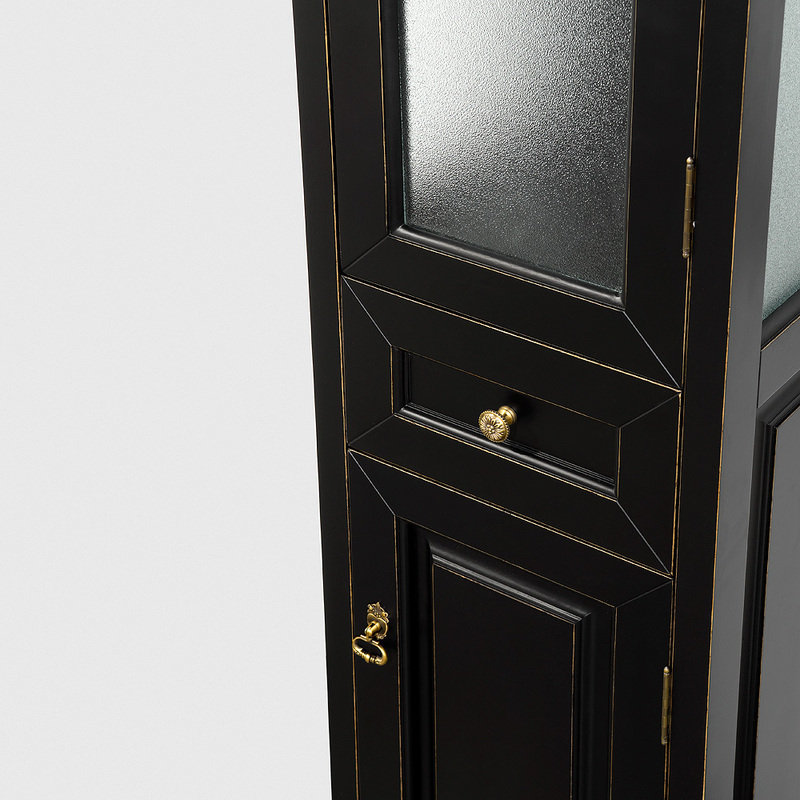 Antique Brass hardware accents the front of each drawer and cabinet door, complementing the top - which is available in either an Ivory or Carrera White marble. 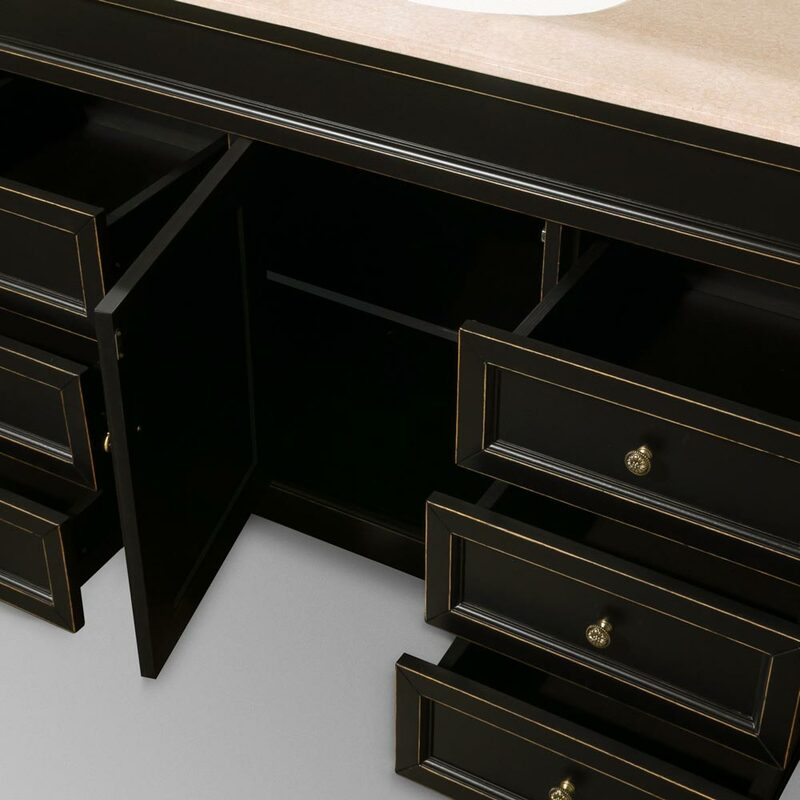 It also comes with two porcelain undermount sinks and pre-drilled with three faucet holes in a 8" spread on each side. 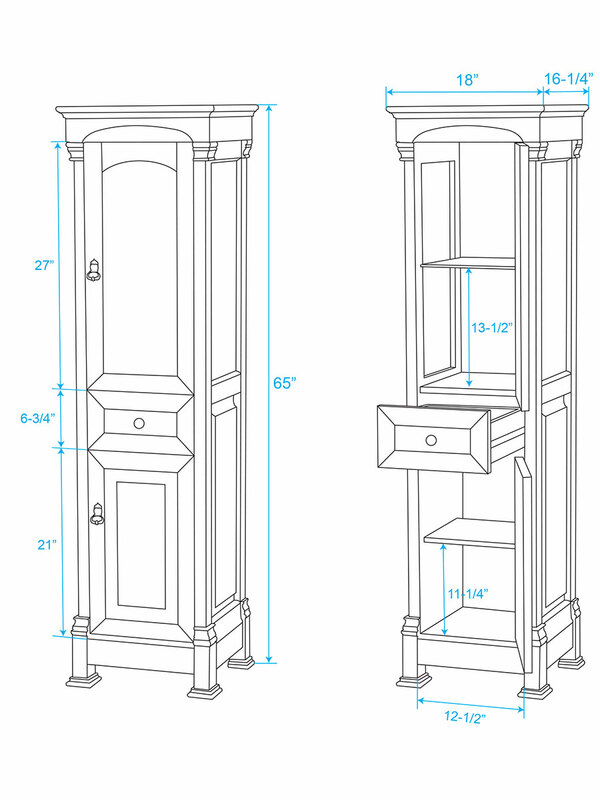 Matching mirror is included. 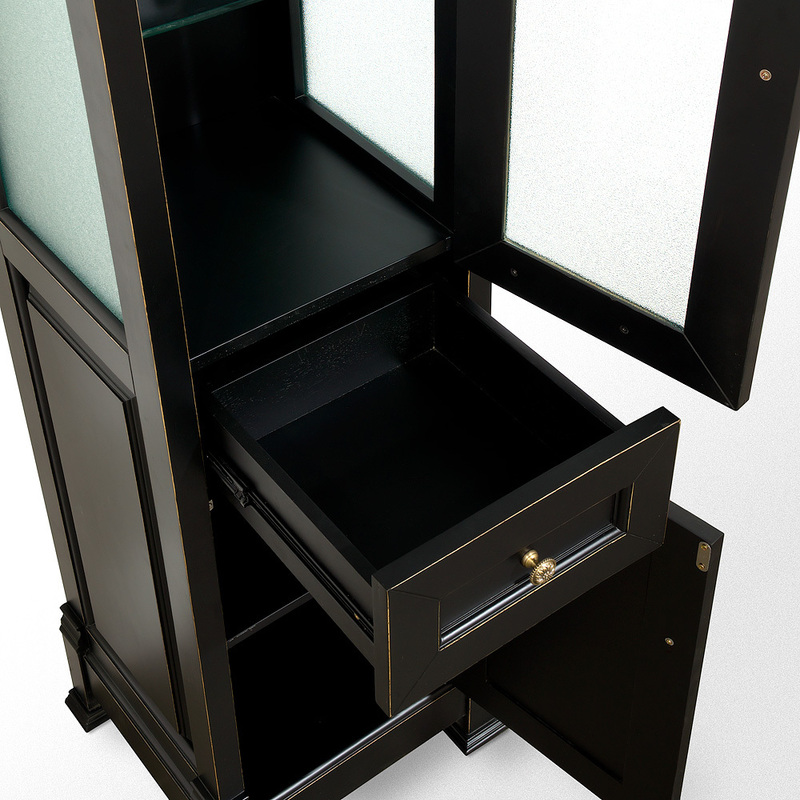 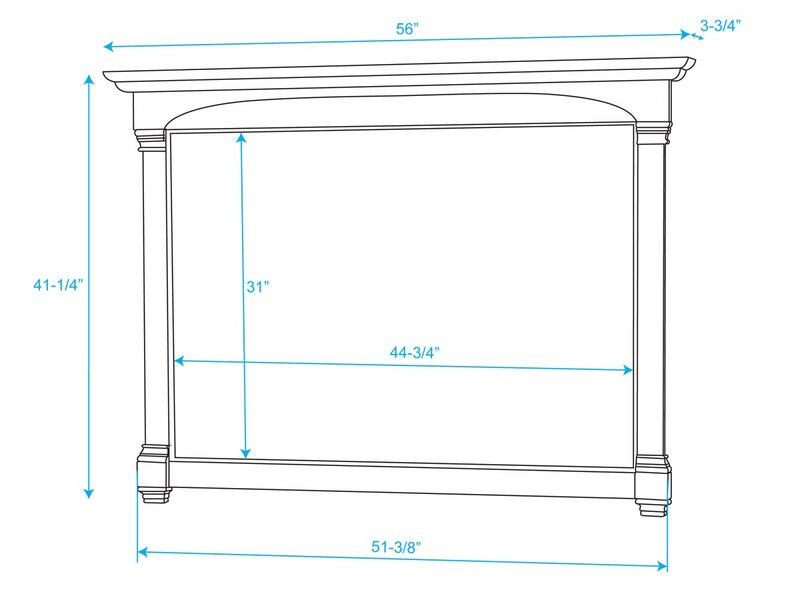 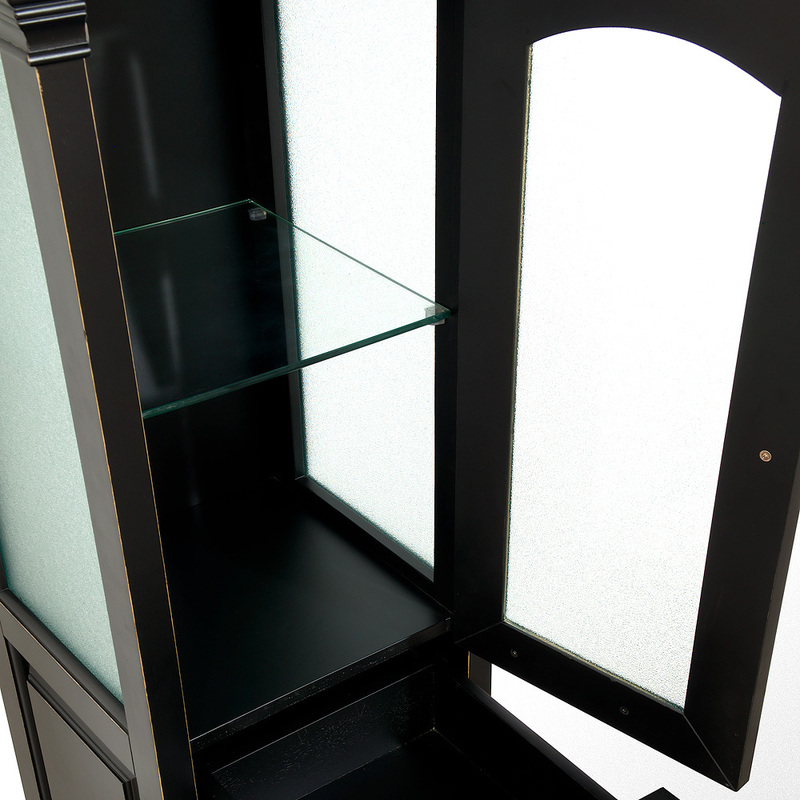 Add the optional linen cabinet for additional storage space.